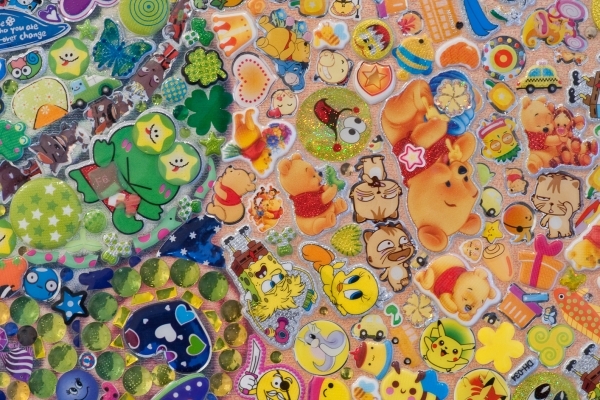 Beijing based artist Ye Hongxing is having her the first UK exhibition at Scream on Eastcastle street, London and the interest seems to be great and not only for this artist but for the entire Chinese contemporary art since the country has turned to capitalism. Hongxing new works will be an answer to this profound social system change that has gone with that change. What jumps straight at you you when looking at her works is the explosion of colours and the somewhat chaos of the composition. One will see in this body of works a mirror of what China’s expansion has been – fast paced, anarchic and incoherent. The artist looks at questioning what it has cost China and its people and put forward the utopian vision that governing people may sometimes have. On a more pratical aspect, the artist’s technique is remarkable and definitely creative. 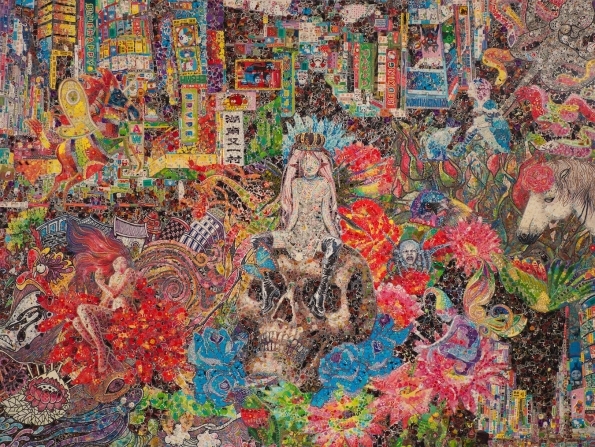 Hongxing woud use canvases and elaborate complex collages made of stickers and what we could called popular imagery collected for different medias since she was a kid. 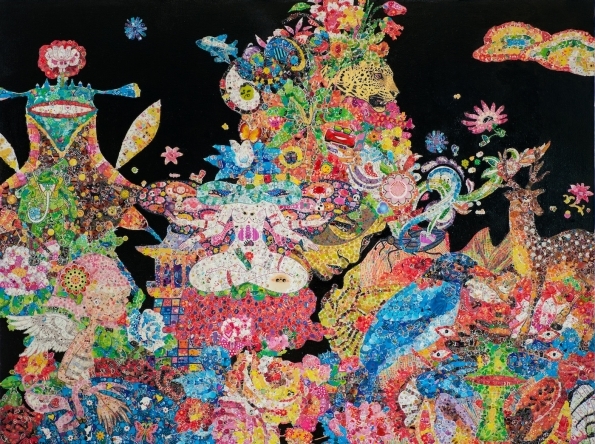 This clever assemblage often results to an eruption of colours and intricated compositions. For those interested to know where the title of the exhibiiton comes from, it actually references the 1905 novel ‘A Modern Utopia’ by H.G Wells and is suggestive of the artist’s investigation into society and modern life.